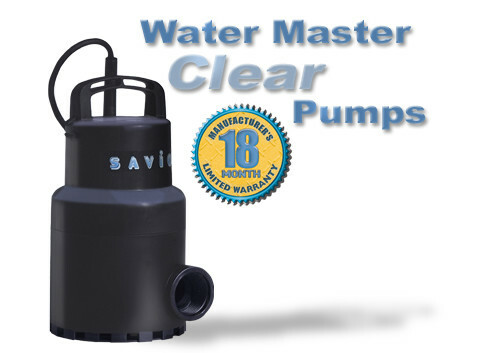 Water Master Clear Pumps Features Our Best Selling Pumps! 2 year warrantyumps! Dimensions 5-1/2" x 10-1/2" 5-1/2" x 10-1/2" 5-1/2" x 10-1/2" 5-1/2" x 12"